These free PSD you need to easily customize your own icons, buttons, menus, business cards, labels, banners, website templates, web forms. When you are at the loss of your internet site or ways to create such creative things, these creative PSD templates will be really easy for you. 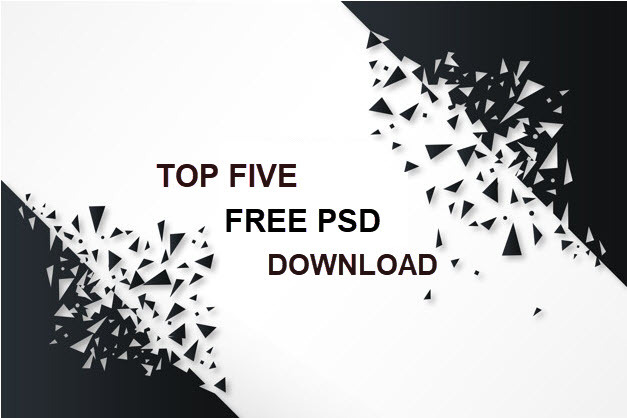 Now we’re going to take a look at these 5 PHD templates like those which help us to look our site creative and attractive. Download high-resolution textures, and PSD templates for your web and graphic design project. There’s a section called PSD files and one called Templates, but they are both categories full of PSD files that are still in their raw form with all the effects, and layers 100% editable. Some of the PSD templates I stumbled at PSDGraphics were of labels, banners, and icons, among many others. many other social media sites are set up so you can use PSDGraphics from your site. Freepic helps you find free vector art, illustration, icons, PSDs and photos for use in websites, banners, presentations, magazines. More than a million free photos and free icons.Exclusive freebies and all graphics resources that you need for your projects. Before you visit the download page for any of the files freepik, you can quickly glance at the number of downloads it has received, which can help gauge its popularity. Free vectors for personal and commercial use. Download in AI and EPS format. The dreams of free high quality Adobe Photoshop files are true at PSDreams.com. All of the PSDreams.com files are free and most of them can also be used for commercial purpose. Browse through our freebie categories like web-icons, mock-ups, psd web templates, backgrounds, logos, UI kits and more. Choose what you want, go ahead and play with your creativity. PSDreams.com gives you best wishes with your projects. PSDBoom.com has many great PSD files that you can download freely. In addition, navigating the website is really easy. Print templates such as business cards resume and flyers are available, as well as mockups, buttons, social media icons, logo templates, and more. Some PSD templates on this website also include information on the fonts used within them so that you can match your project with one given in the template. There is not a big selection of Photoshop templates at PSDBoom.com, but the people present there are really very good. The best PSD freebie is a good source for duplicate as PSD files. You will find things like fake for mobile phones, business cards, cups, magazines, web forms, computers etc. In addition, you can find free buttons, icon sets, patterns, brushes and other similar photoshop resources. They can be most liked to help find popular items and most can be downloaded. There is an RSS feed and many social media pages that you can subscribe to the updates posted on Best PSD Freebies. You can also browse all photoshop free browse just to find the most recently added files.